I have been using the Giro Air Attack helmet for a couple months now since posting my first impressions and have really be putting it through its paces. As one would expect, my main concern with the Giro Air Attack was that the lack of vents would make for an extremely warm helmet so I have waited for some warmer weather before passing final judgement. Overall, I must say that it is very difficult to find any fault with this helmet. Thanks to Giro’s RocLoc system, the Giro Air Attack provides a comfortable and secure fit. The RocLoc ratchet system allows you to really dial in your fit with retention adjustable in small increments. It also had 3 positions of vertical adjustment so you can really choose the amount of head cupping that is right for you. 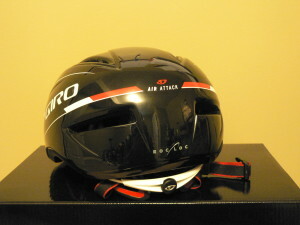 The shape of the Giro Air Attack meant that, even when snugged up on my head, there were no hot spots of extra pressure. And the minimal padding was sufficient for keeping a comfortable feel and sweat absorption. Giro helmets tend to have a great fit and the Air Attack continues that trend. The big question about the Giro Air Attack was would it turn into an oven in the hot weather due to its lack of vents. 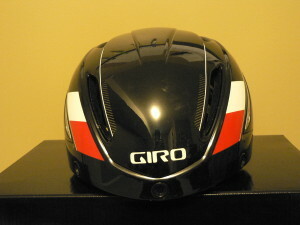 But despite having only 6 vents, the Giro Air Attack provides sufficient air movement across your head. 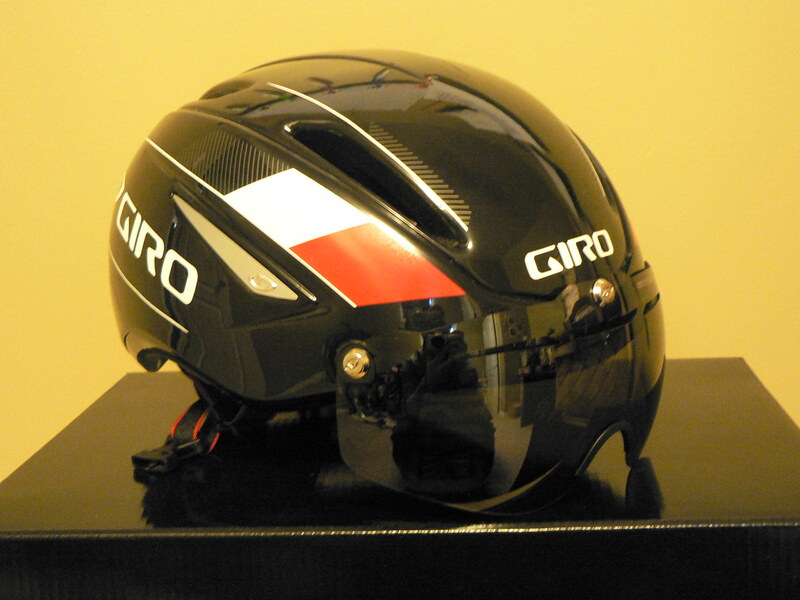 The Giro Air Attack is a helmet that is designed to go fast and that is when it ventilates the best. Once you get over about 25km/h, the large front facing vents do really well at pulling air into the helmet and across the top of your head. With that being said, at lower speeds, particularly while climbing or waiting for a club ride to start, the Giro Air Attack does get quite warm. 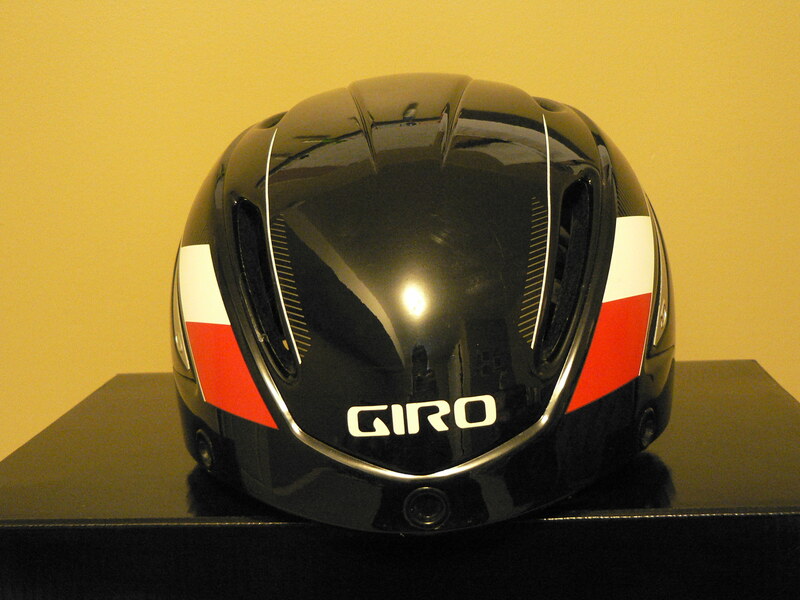 Due to the lack of vents on the forehead, the Giro Air Attack heats up around the lower sections even when at speed. Giro claims a time saving of 17 seconds over 40km at 40km/h for the Air Attack, but without a wind tunnel I have no way of testing those claims so I will just have to take Giro’s word for it. 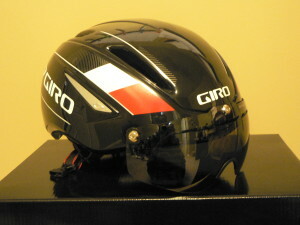 The Giro Air Attack does feel like a fast helmet particularly with the optional clip on shield. Using three magnets, the shield is easy to attack and remove. Although I can’t quantify how many watts it might save you, the Giro Air Attack’s shield noticeably reduces drag by directing air around your face. By creating a smoother surface, it reduces drag. Apart from aerodynamics, the shield has another benefit: it helps keep the cold air off your face on those early season rides. But the flip side of that is that it keeps the cooling air off your face on those hot mid summer rides. It is difficult to find fault with the Giro Air Attack helmet. In my opinion it is the best looking aero helmet on the market and is my everyday helmet. Despite not being the best venting helmet, it regulates temperature extremely well for a helmet with only 6 vents. Temperature will always be an issue with aero helmets, they are designed to reduce drag and vents cause drag. If you are looking for a comfortable, fast helmet for racing and hard training rides, than the Giro Air Attack is a great option. But if you are looking for something that breathes a little better for long climbs or warmer climates, take a look at the Giro Synthe. This review was done completely independent of Giro. I purchased the Giro Air Attack myself with my own, hard earned money.